The Six Flags Great Adventure Haunted Castle fire took 8 young lives on May 11, 1984 at the Six Flags Great Adventure Theme Park in Jackson NJ. 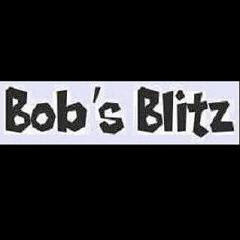 Sickeningly, the staff of Bob's Blitz was in the Castle that morning and saw the smoke as we left the park. Peter Smith's documentary on the tragedy won the prize for 'Best Research' in The Spring 2004 New York Independent International Film Festival.